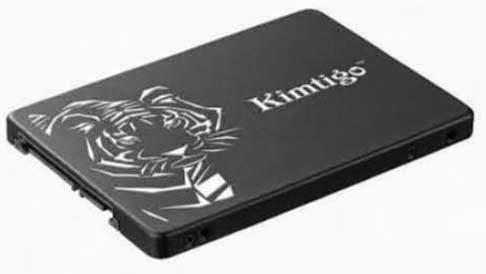 Kimtigo, China’s leading manufacturer will introduce its new and advanced line-up of SATA III SSD storage devices including the KTA-350. The KTA-350 is state-of-the-art storage drive that delivers transfer speeds and boots up to 10x faster than the other traditional HDD drives available in the market. The KTA-350 is part of the extended line-up of Kimtigo’s SSD products, which offers undisputed quality performance and precedes consumer expectations. Kimtigo (Tigo) is a China-based leading semiconductor product brand, which enjoys world wide popularity and reputation. Tigo is the No.1 storage brand in China. It’s always been pursuing superior quality and sustainable innovation. It was founded by Newlystar Technology Company at August 2005, and was initially named as Kingtiger. Ever since their release, the company has drawn a lot of attention and there has been no looking back for the technologically advanced enterprise. They achieved huge success in the Chinese tech market, and have continually strived to achieve the No. 1 ranking in the mainland market share. Aiming at a higher global market share, Tigo utilized its globalization strategy in full swing, by renaming the brand to Kimtigo, which originates from the Chinese pronunciation, which means golden quality, prosperous, and surpass. They have been a successful strategic partner of Samsung China and enjoyed global success and dominated the memory market as one of the leading manufacturers of flash card, flash drive, SSD, and power banks. Kimtigo has an experienced team with 60 engineers (40 in Shenzhen and 20 in Taipei). It is always at the frontier of newest technology and innovative design. With strict quality control, Kimtigo products have passed a series of certifications: RoHS, FCC, CE, C-Tick, SGS, etc. Kingston’s unique and innovative ideas are created from top level design creative teams from international creation centers in Hong Kong, France, and Taiwan, hence adopting a global look and appeal to all of its products. Kimtigo has successfully launched their vast range of memory and power bank products including the SATA III SSD drives-KTA-350, KTA-350S, KTA-300, Himlayans range of colourful USB drives, digital products such as the powerful and efficient Power bank KTD series. It also includes semi-conductor products like the Rockies DRAMs with high bandwidth interface and high frequency up to 1600MHz. KTA-350 is powered by the latest and advanced SMI technology controller and an integrated with a DDR3 256MB built-in cache, which means faster boot ups, quick transfer and sharing of files and storage of memory rich media, documents and computing software. The KTA-350 is a hybrid SSD drive, it comes equipped with a SATA III 6GB/s and also can be backwards compatible with SATA II interface at 3GB/s. It offers a massive storage capacity available up to 480GB, and offers maximum read and write speed at 500 MB/s and 400 MB/s respectively. Built with a sturdy and durable exterior, it consumes less power than other bulky SSD drives, promoting longer battery life in notebooks, and operates quietly for a noise-free working environment. Added shockproof and anti-vibration features means the KTA-350 can withstand unlimited usage without heating up and provide consistent performance for an extended period. This makes it a more cost-efficient gadget compared to its mechanical counterparts. It is designed in a smooth black covering with the Kimtigo logo proudly displayed on its cover. It is lightweight, slim and extremely convenient to use in any portable devices, like notebooks, tablets etc. Its dimensions measures at 100x69.9x7.00mm, and weighs in at 78g. It is through cutting-edge technology that Kimtigo has set itself above the rest with the latest firmware and advanced controller circuit design for stable IOPS performance and enables a more responsive computer. KTA-350 comes with 3 years warranty, supports Windows 98/98SE/ME/2000/XP/Vista™/ 7, Mac OS 9.0 & Linux Kernel 2.4 and above. *Disclosure: An important note, we are just sharing this information to the public, provided by our source. Kimtigo - Info / Logos / Photos / Images have respective copyrights.